As part of its push for greater transparency and to combat fraud in the digital ecosystem, Unilever said over the weekend that the company would no longer work with influencers who buy followers. The company unveiled its new policy at the Cannes Lions Festival. “The key to improving the situation is threefold: cleaning up the influencer ecosystem by removing misleading engagement; making brands and influencers more aware of the use of dishonest practices; and improving transparency from social platforms to help brands measure impact," said CMO Keith Weed. In addition, Weed says Unilever brands themselves will never buy followers and the company will prioritize partners that help eradicate fraud and support increased visibility and transparency. Marketers currently have limited visibility to accurately measure influencer programming and track authentic engagement, he says. At the same time,marketers are relying more on influencers to get their marketing messages across, believing that such messages resonate with consumers. “We need to take urgent action now to rebuild trust before it’s gone forever," says Weed. He cites the critical importance of this decision due to the "scale and scope" of influencer marketing. It is growing at pace and holds increasing sway as a way for brands to speak to people given influencers’ deep and direct connections with their audiences, he says. The more people influencers reach, the more money they make, he points out. According to data collected by Captiv8, a company that connects influencers to brands, an influencer with 100,000 followers might earn an average of $2,000 for a promotional tweet, while an influencer with a million followers might earn $20,000. Still, it is unclear how Unilever will effectively determine whether or not these influencers purchased followers. Or whether banned individuals will be able to challenge the decision. 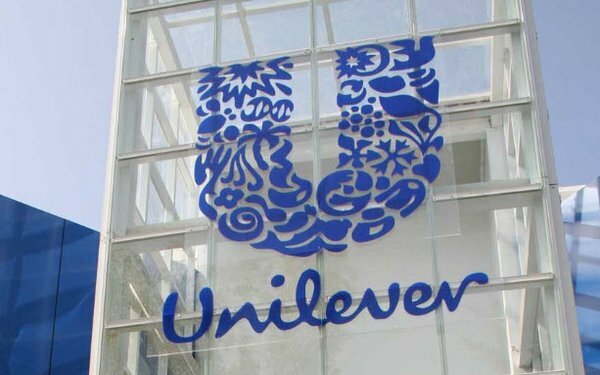 Unilever says it will use "a number of tools" and work closely with agency and platform partners to track fraudulent behavior when it sees it. Nonetheless, the intention is clear, says Weed, reiterating his long-held belief that marketers need to rebuild trust back into the digital ecosystem and wider society and that platforms need to help eradicate fraud themselves. "One of the ways we can do that is to increase integrity and transparency in the influencer space," says Weed. 8 comments about "Unilever Bans Influencers Who Buy Followers". Maria Bailey from BSM Media, June 18, 2018 at 10:25 a.m.
Great article Larrisa. Agencies need to do a better job screening influencers as well. It doesn't take a lot of work to determine questionable growth in followers. Larissa Faw from Mediapost, June 18, 2018 at 10:32 a.m.
Maria :) There has already been chatter about the decision in other sessions with others pointing out that this ban is easy to say, hard to do. brad berger from aim high tips, June 18, 2018 at 11:06 a.m.
Chuck Lantz from 2007ac.com, 2017ac.com network, June 18, 2018 at 12:13 p.m. Even without paid-for "followers", isn't the entire influencer system fraudulent to begin with? The moment an influencer makes the decision to publish a positive comment about a product or service based more on how much income that comment will produce for them, and less on their honest opinion of the product or service, and doesn't publish a disclosure, that's fraud. Scotty Reiss from SheBuysCars.com, June 18, 2018 at 12:49 p.m.
Bravo to Unilever for taking the lead. This is so important for all marketers, and for audiences. Dan Ciccone from rEvXP replied, June 19, 2018 at 10:33 a.m.
Unilver just "warned" YouTube and Facebook a few months ago to "clean up their act" because their ads were running next to questionable content and now Unilver threatens influencers. Yes, there are shady practices across the board, but perhaps Unilver and/or its agencies need to stop buying advertising in bulk and do more due-diligence in its buying practices and the platforms it chooses to engage. While it's likely difficult to avoid all fraud, most of it can be avoided by better buying practices. When you reach out to a rep firm that has 4 employees, but reps a "network" of hundreds or thousands of influencers, you're buying fluff. Much like ad networks tout the top publishers they represent, the remaining thousands of sites are usually sub-par and are accumulated to drive low CPMs and distribution. Darrin Stephens from McMann & Tate, June 19, 2018 at 10:50 a.m. So up until now Lever was ok with paid followers. Chuck Lantz from 2007ac.com, 2017ac.com network replied, June 19, 2018 at 1 p.m. I think Maria makes an excellent point. I have zero sympathy for companies who complain that some segment of their business, whether it's inlfuencers, or comments traffic, etc., have become "too large" to control properly. If such things are "too large to control", then your company is "too large" to continue using those segments. Either hire more personnel to handle the load, or STFU about the consequences of the overload.